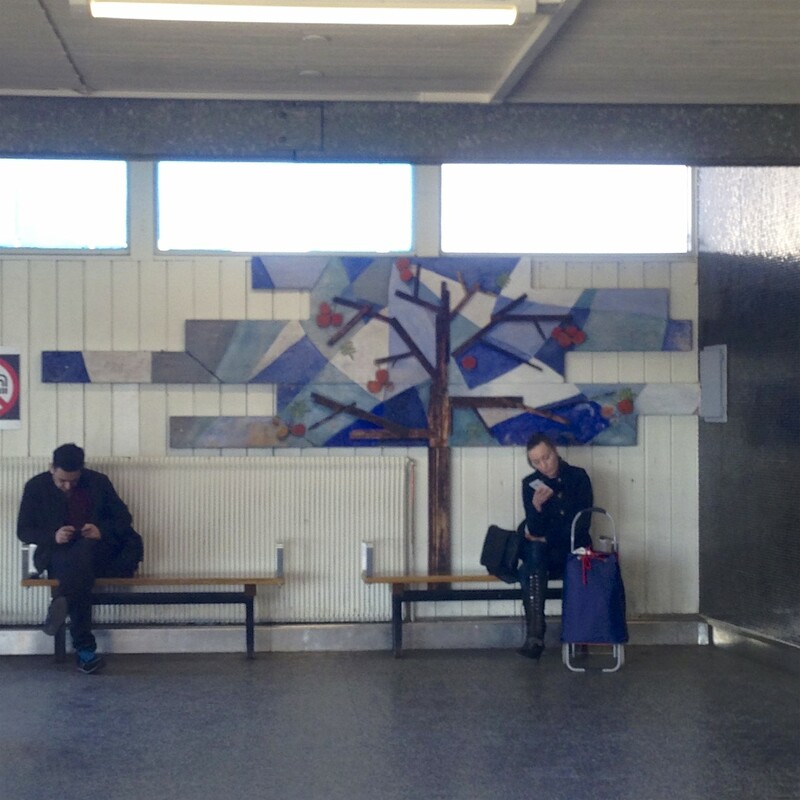 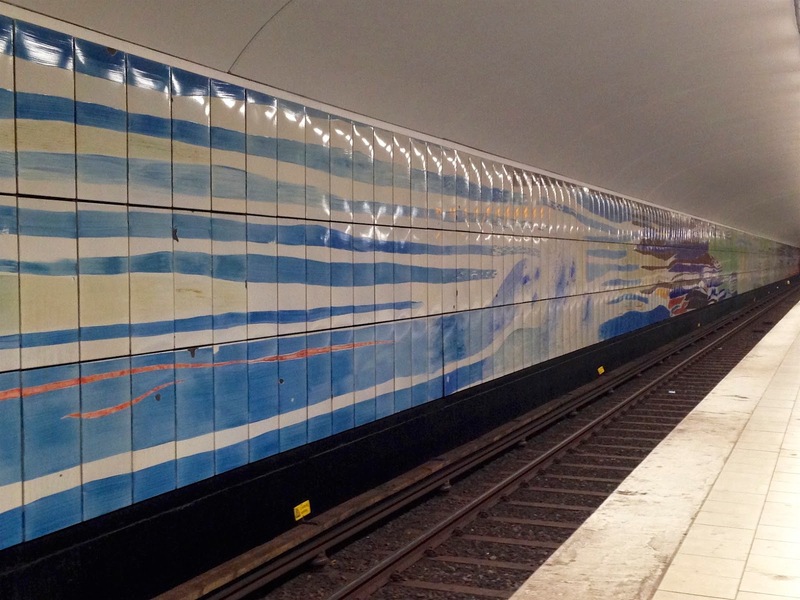 The entire piece is called 'Ebb and Flow' and is an enamel piece a 145 meters long by Margareta Carlstedt. 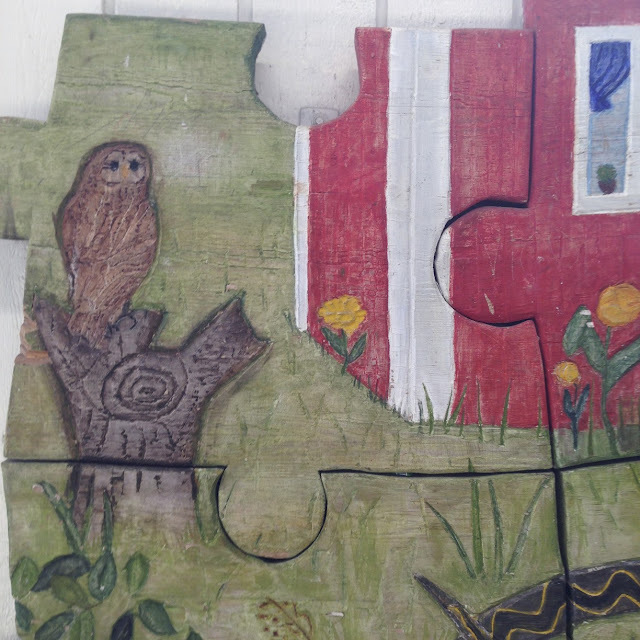 The plaque said she won a contest in 1961. I came to this station on a rather, ugly weather day which is unfortunate as the time before, I had come on a bright, sunny good light day, but my phone (camera) died when I got to this station. 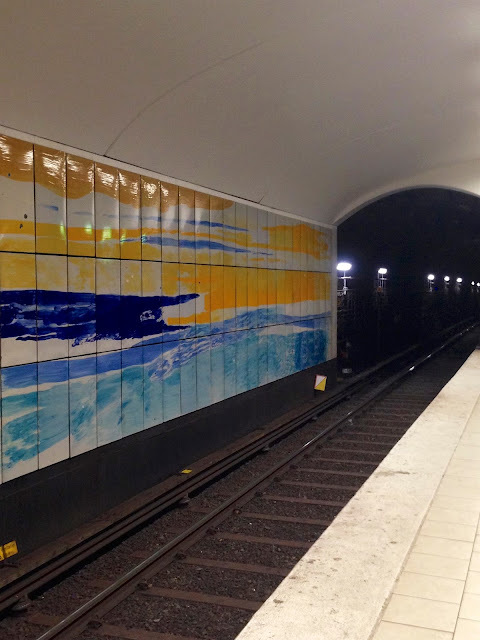 I searched but I could not find the artist plaque for this station, I asked and perhaps my Swedish was bad, or perhaps his was, or perhaps he had no interest in art because asking got me only an agitated display of body language. 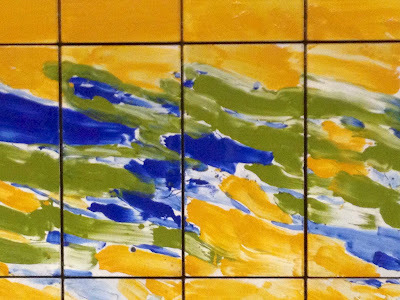 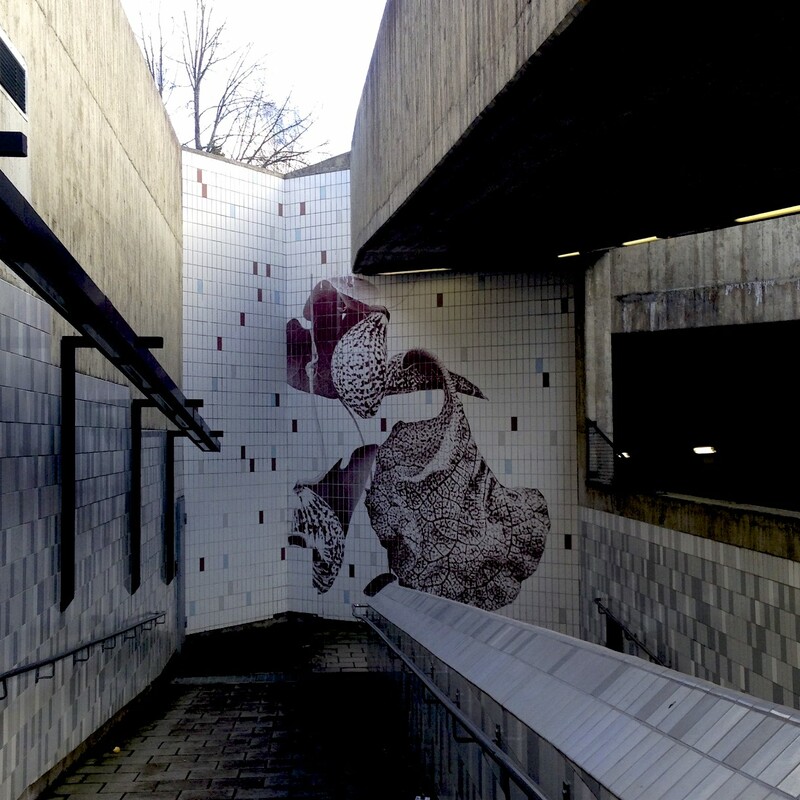 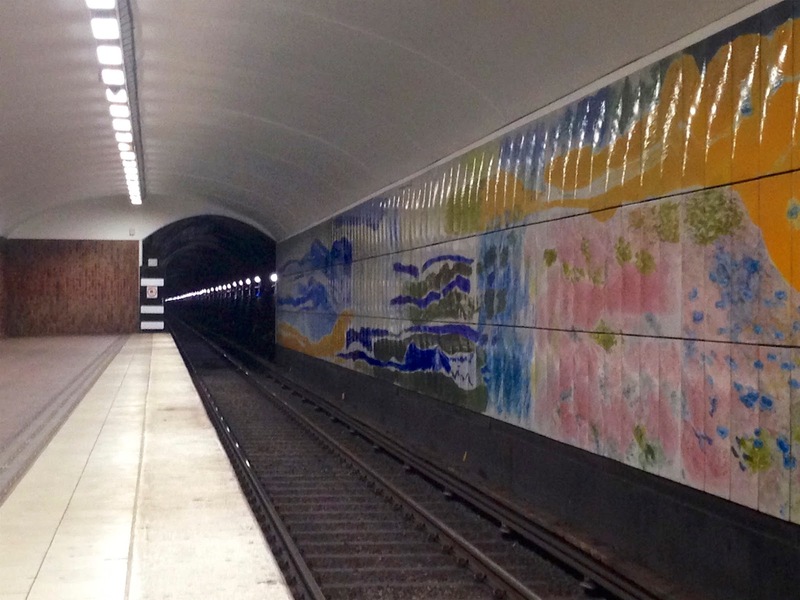 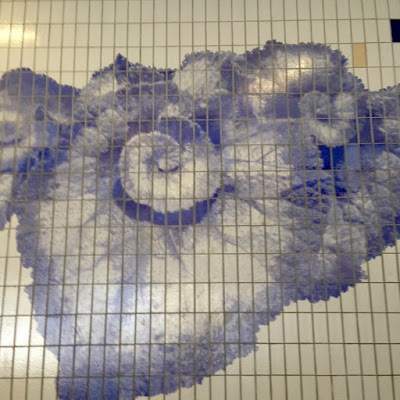 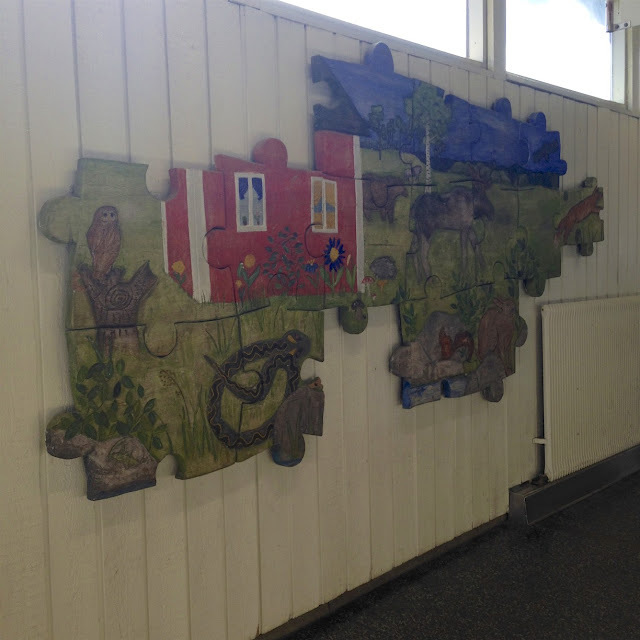 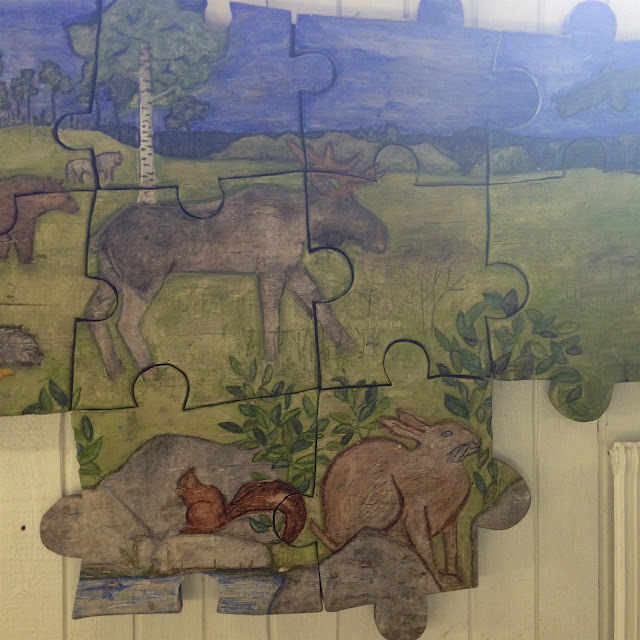 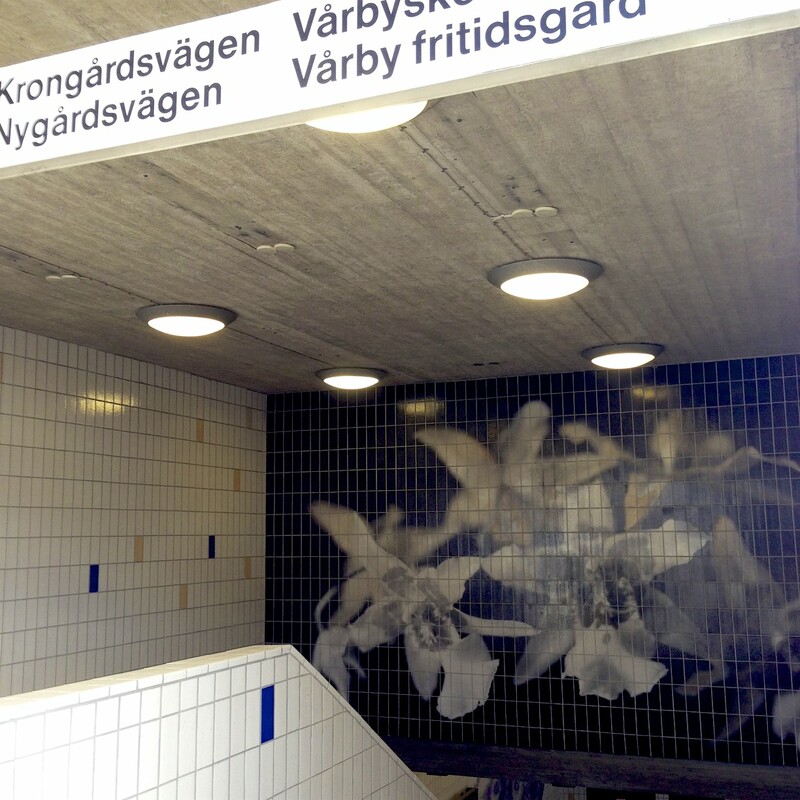 Artistic design of Vårby Farm Underground Station. 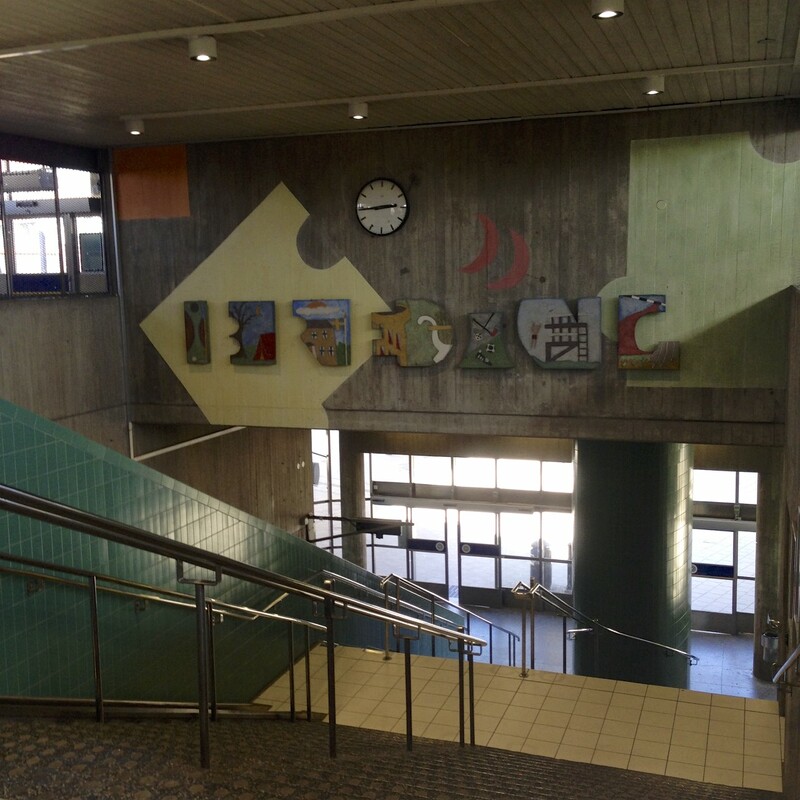 "The station area consists of a fairly extensive system of stairs, walkways and a hall. 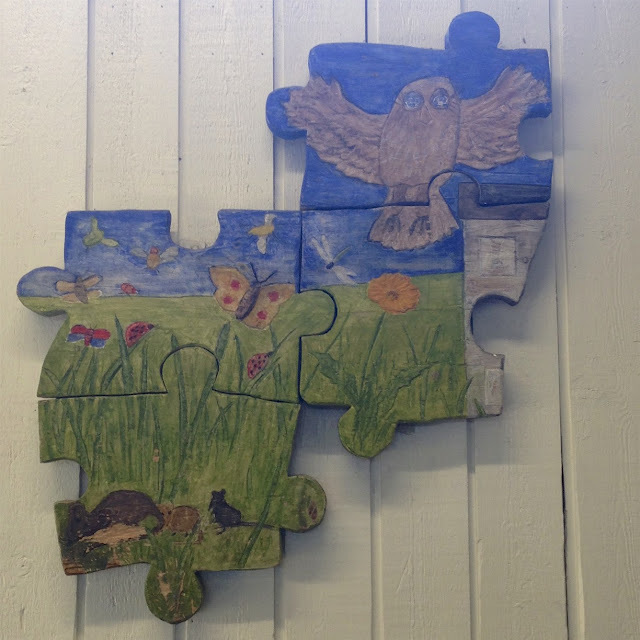 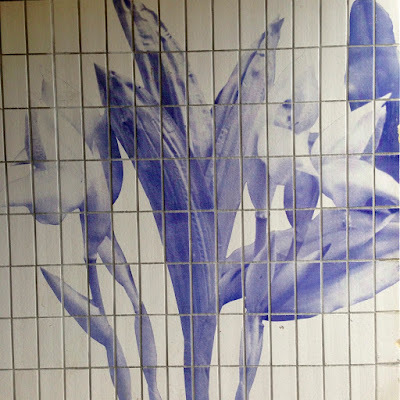 "Flora" includes an artistic part with five large images, color scheme, two minor alterations, replacement of some of the fittings, and planting of plants (Virginia creeper) along a major wall facing the center of the square. I've wanted to make a beautiful station, the visibility of the architectural qualities, giving the station a personal identity and a varied structure. 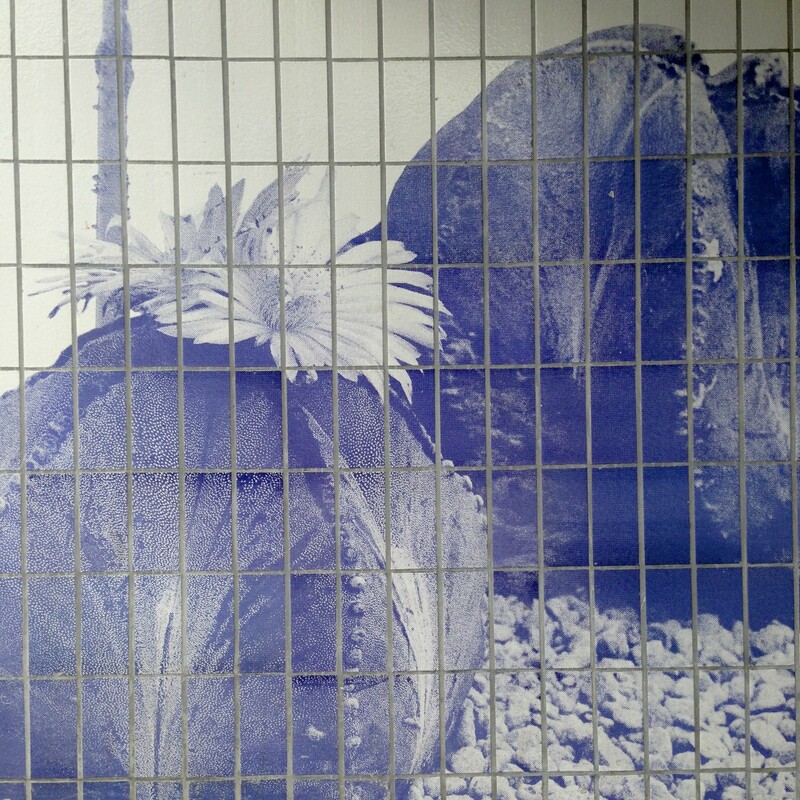 I have chosen to do a plethora of exotic plants from different corners. 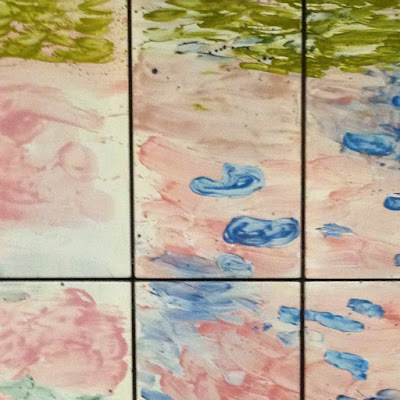 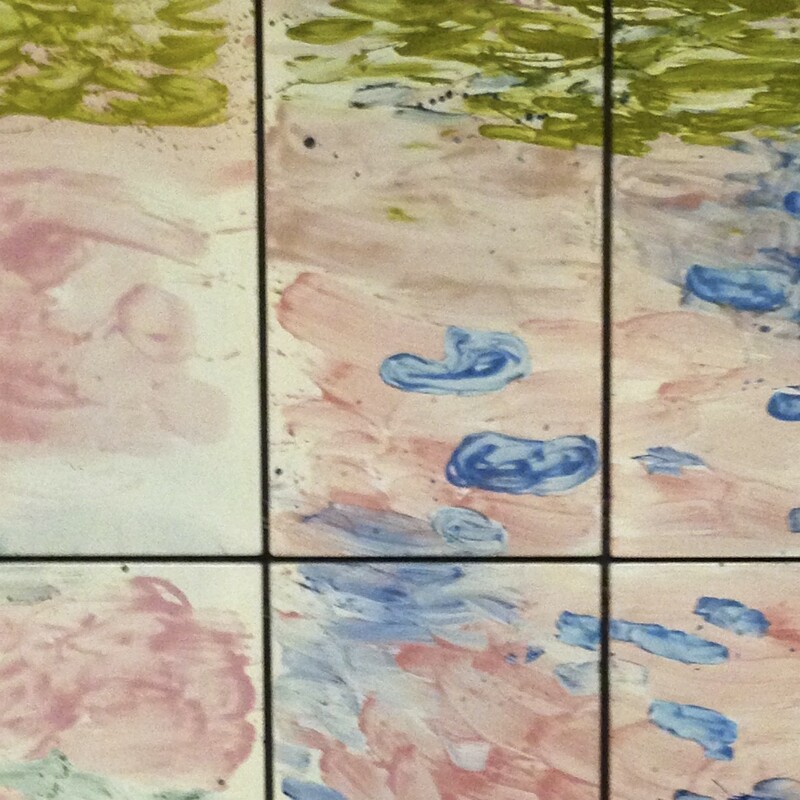 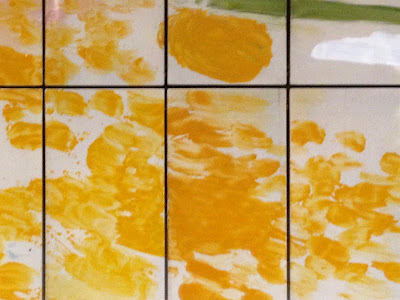 Five great photos of the plants have been burned onto vitglaserad tiles. 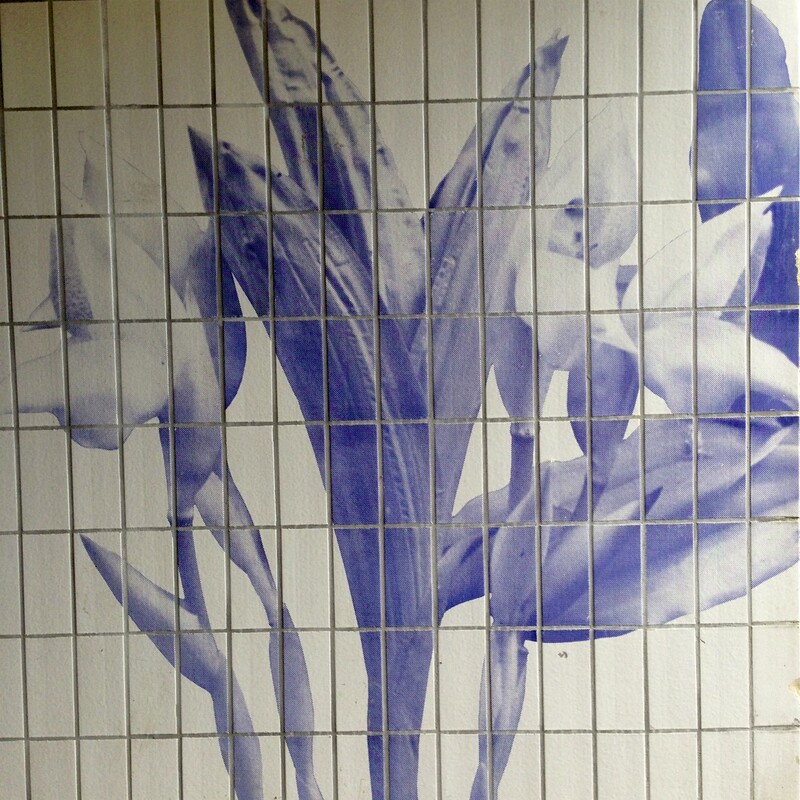 Flowers organic beauty contrasts with crystalline architectural nooks and crannies."